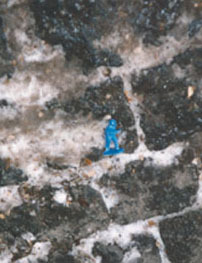 during the year of 2000-2001, loughnane "occupied" the city of munich from his tiny, 2x3 meter room with tiny, blue, plastic nazi soldiers. equipped with little more than a subway map, a military parka and various adhesives, the artist began his stealth transformation of a quaint european village into a city under seige. though riding the subway was the most common form of attack, loughnane also traversed the city by bicycle and on foot to fill in gaps in his quasi-occupation of the city. 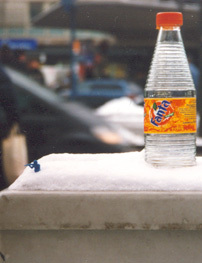 while the motivation behind the project began merely as the playful exploration of family history, as the artist's grandfather actually occupied munich as an american soldier during the second world war, the first phase of his project offered a subtle, yet extremely powerful political statement. 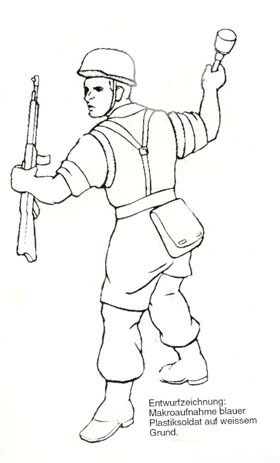 for the second phase of the invasion, loughnane printed hundreds posters of a blue soldier he constructed especially for the image. 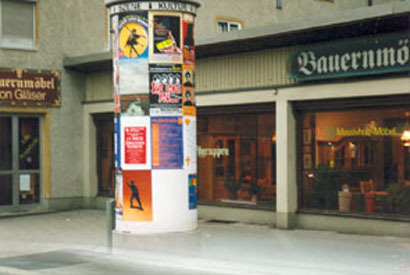 during the week of april 1, 2001 he rented advertisment space on several hundred kultur & szene kiosks in munich to initiate the second and final phase of his project. 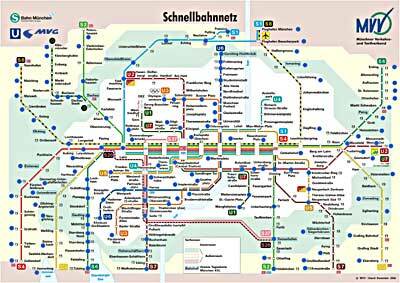 pictured below are the preliminary sketch for the poster, a poster prototype, and an image of one of the posters hung by the city of munich. 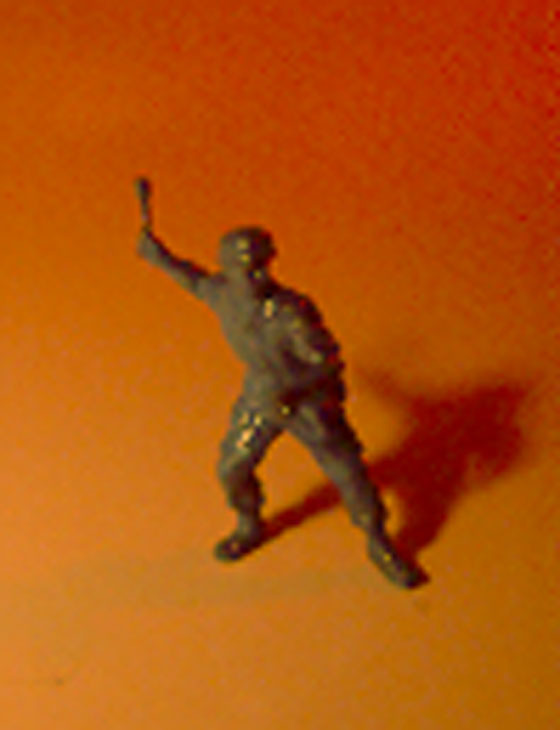 though a press release was sent to all of the major newspapers in germany, both phases of the project were ignored until an unassuming person happened to photograph one of the soldiers from phase 1 after september 11, 2001 and sent it to the süddeutsche zeitung in october of 2001, where it appeared in jetzt magazin, issue #42. another interesting fact is that the entire project was placed under investigation by isreal, while the german press and munich art scene remained oblivious to the silent invasion until it became more politically relevant.